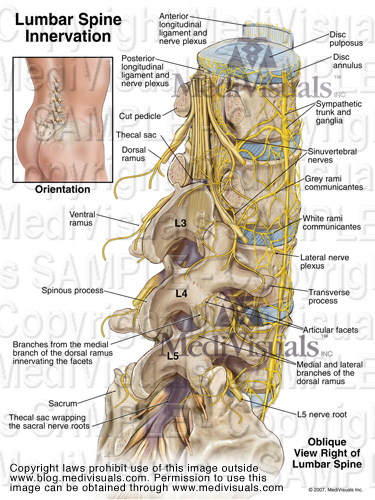 Defense counsel, in personal injury cases involving spinal disc injuries, place a great deal of importance on the large neural structures, such as the nerve roots and spinal cord, but often times fail to appreciate the significance of the many smaller nerves around the spine. 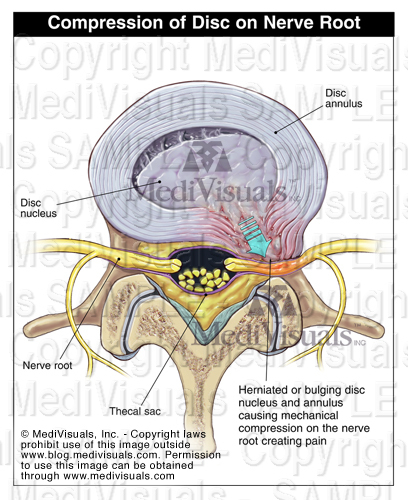 As the illustration below demonstrates, the spinal canal and discs are covered with a meshwork of nerves. In some people, these nerves can be far more sensitive than they are in others. 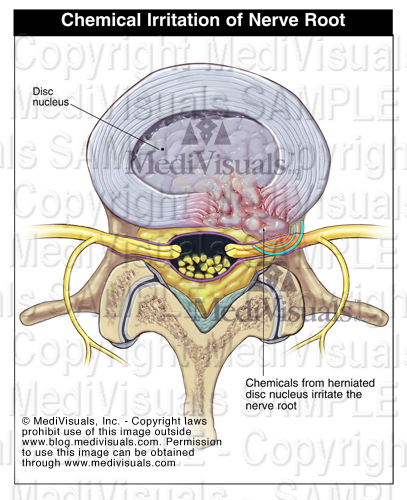 Direct compression of an exiting nerve root (see illustration below) is widely appreciated to cause local, as well as, radicular pain and weakness.  However, if a physician's interpretation of a plaintiff's radiology films is that the films show only a bulge that does not compress the nerve root, the problem then becomes to prove that the plaintiff’s pain and weakness are not simply "fabricated". Discogenic pain is a very likely explanation for local and radicular back pain. 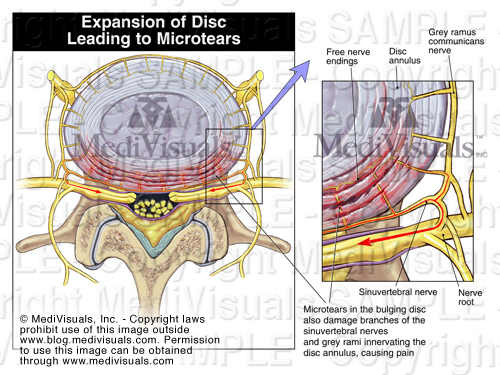 The disc itself has numerous sensory nerves called the sinuvertebral nerves. 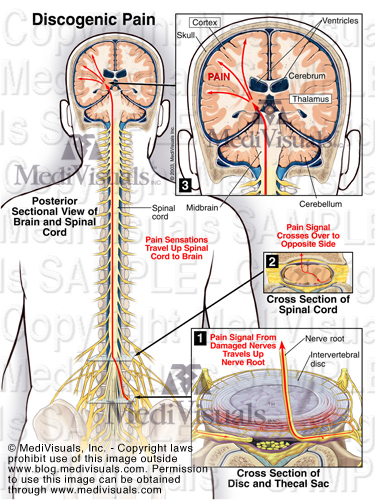 (see illustration below) With an injury to and/or a breakdown of the disc, these nerve endings are also damaged and send pain impulses through the spinal nerve roots.
. . . and are carried to the brain and interpreted in the same way.